I love watches. I had some small, big, designed for men, with leather straps, steel straps, rubber straps, … Some women need a statement collar for a perfect look, for me, a simple watch makes all the difference! 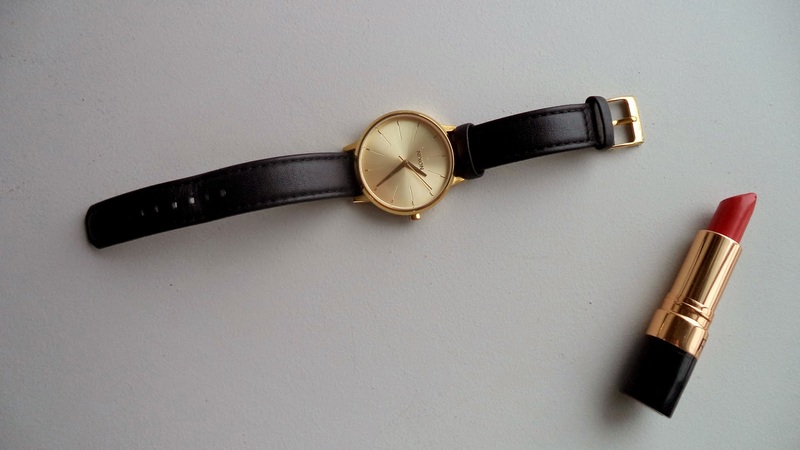 After a lot of experiment, I think I finally have found a piece that suits me, a classic watch, with leather strap, that will goes with any outfit and that I will wear for years and years. During my research, I had some requirements. I wanted a leather strap that would age well, and not crack after three months. I wanted a refined dial, simple and original at the same time. Last but not least, I wanted it to go under the water. Because it might be nice to have a beautiful watch, but one day, if I want to take a shower and I forget to remove it, I wish it would survive the journey… I know it will happen one day, even if I take care to remove it each time, I know that I might forget… Unfortunately, most leather watches don’t go under the water and just stand the rain… I needed a 5ATM watch that would supports immersion! 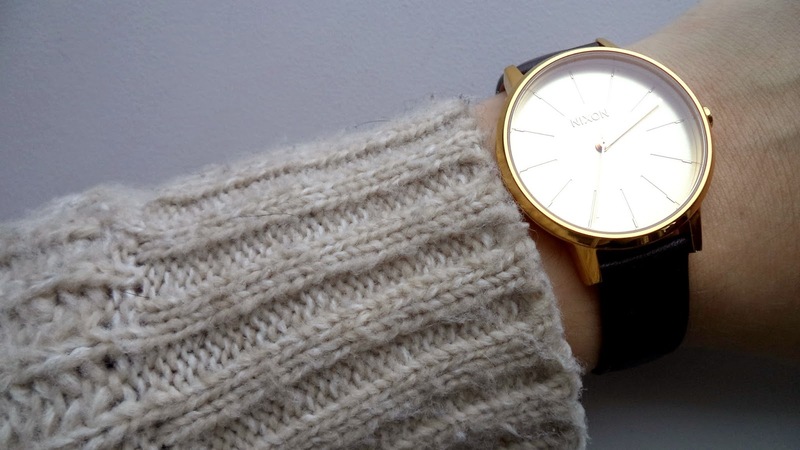 After spending a lot of hours on the internet, I found my wrist soulmate: the gorgeous Kensington Leather watch from NIXON. The leather strap is neither too thin nor too wide, and for the moment I do not see any sign of damage on the leather (I have it for one month only but I wear it every single day). The dial is very clean, without any number, exactly what I was looking for, and the golden color makes it a statement piece of my look. This is not just a watch, it’s a real jewel! I do not regret my choice at all (I chose the Gold model) and I’ll probably offer myself the Rose Gold/White one for my birthday!